After my previous post about the Cape Town Central Library a friend asked exactly where the entrance was located. You'll see the entrance to the library on the right-hand side of this photo - in Parade Street. Besides for the Central Library, South Africa has two national libraries who've been mandated to "collect and preserve public documents and make the accessible" - according to their website. 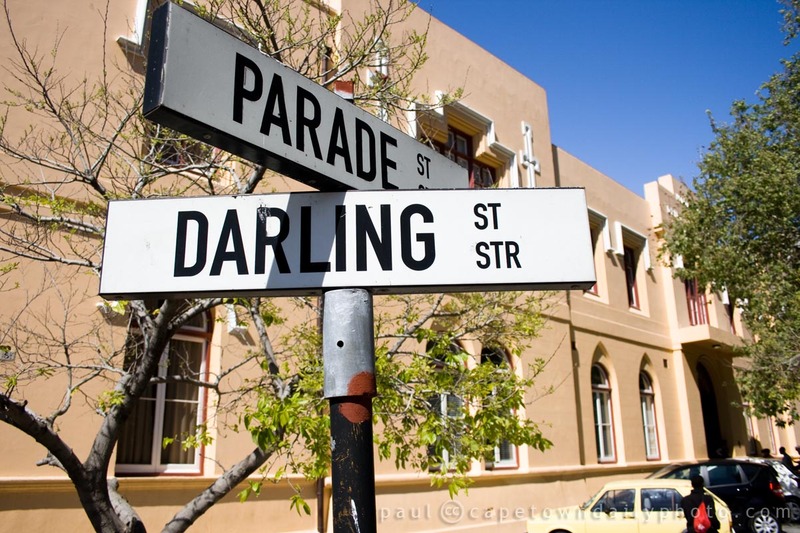 The one is in Pretoria and the other is in our beautiful Cape Town - near the Company Gardens. We're certainly going to have to visit this treasure chest in Queen Victoria Street soon! Posted in General and tagged library, street on Sunday, 12 September, 2010 by Paul. A little while ago I posted a photo of the Cape Town City Hall - the previous location of the Central Library - and said that I'm sure Kerry-Anne would want to visit. Well, we've visited and were it not that we were there too late in the day to open a membership, Kerry-Anne would have walked away with armfuls of books! 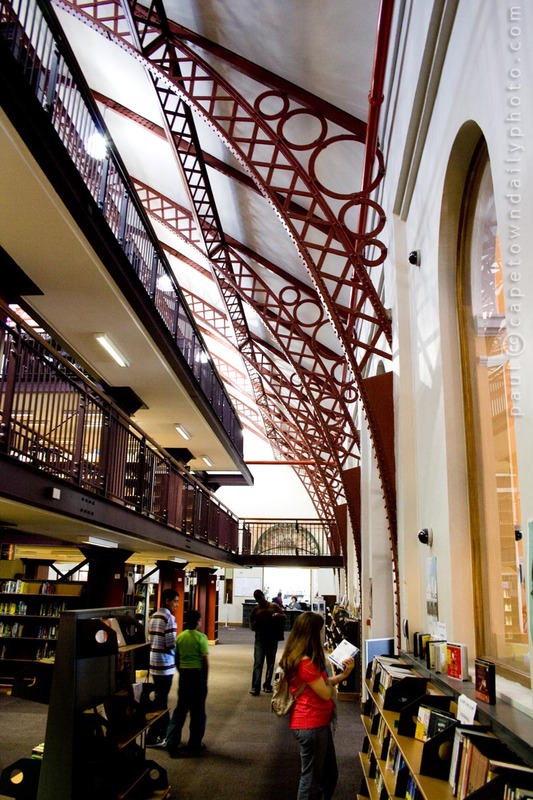 We're use to our smaller suburban libraries - so the visit to this multi-level, multi-room library was quite something. So, if you're a book-lover person - check out this map and be sure to visit! Posted in Activities and tagged library on Saturday, 11 September, 2010 by Paul.